Powerful Dingo attachments built to tackle the most challenging conditions. 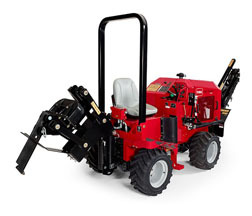 With the wide array of attachments available — more than 35 — the Dingo compact utility loader can perform big-machine applications like grading soil or carrying large amounts of material. The name may have changed (formerly the Maxi-Sneaker), but the reputation remains the same. 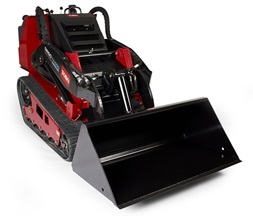 Toro’s Pro Sneak™ 360 Vibratory Plow delivers powerful plowing in a compact, maneuverable package. It all adds up to reliable performance job after job. 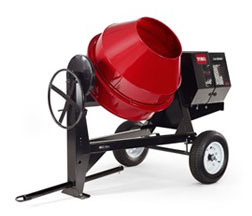 Toro®’s broad line of concrete mixers offers a model for every application, from portable to towable, electric to gas and diesel. The towable mixers feature a convenient hand wheel to provide greater operator control and the ability to lock the drum in any position for easy mixing and storing. 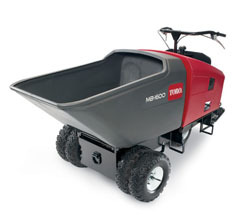 The popular Toro® Mud Buggy brings power, versatility, and productivity to any job site – use it to transport and pour wet concrete, haul materials, clean up job sites, and much more. 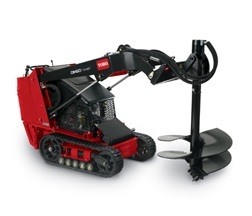 Its compact size and maneuverability make it easy to dump material in tough to reach areas. 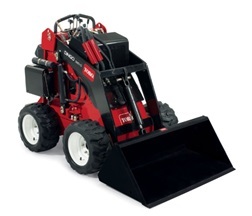 And, hauling up to 2,500 lbs of material is a breeze with the patented ride-on operator platform, dual-action dump pedal, and easy-to-use speed controls mounted to the handle. Toro is redefining the material handling category with the introduction of the all-new, patent-pending Tracked Mud Buggy. 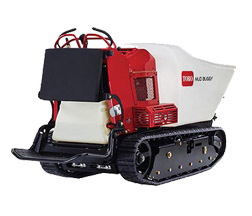 With controls that are intuitive and easy to use, superior traction and maneuverability, high weight carrying capacity, and a powerful engine, the Toro Tracked Mud Buggy represents the ultimate in productivity and jobsite efficiency. The power, productivity, durability, ease-of-use and service-friendly design all add up to a better ROI. 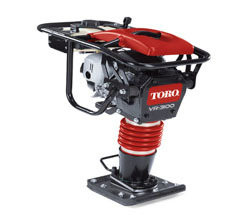 Toro’s line of forward plates offer easy operation, long lasting design and part quality, and great travel speed and compaction for operating on dirt, sand, gravel, and paving stones. 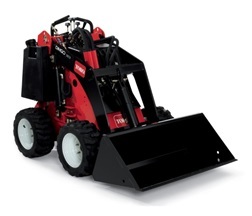 Whatever the compaction job – foundations, sidewalks, or landscaping – Toro’s forward plates offer the size, power, and features just right for the application. 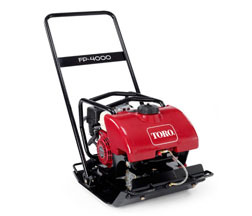 Toro’s exclusive line of reversible plates offers superior compaction in any direction. These hard-hitting, powerful compaction machines are designed for projects where maneuverability and high compaction is important. Our full line of reversible plates keeps you productive in confined spaces such as narrow trenches or along foundations, walls, and abutments and offers a range of models for any job size. 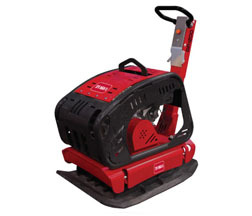 This versatile machine is ideal for the rental industry, as performance, durability and usability are key elements in its design. The commercial grade, self-propelled brush cutter allows operators to level brush, tall weeds, saplings and heavy vegetation with ease. 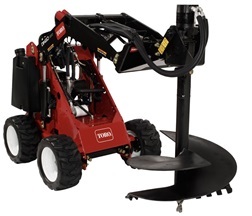 The Toro hydro drive brush cutter, featuring a pivoting deck, can handle brush up to six feet tall and saplings up to two inches in diameter. 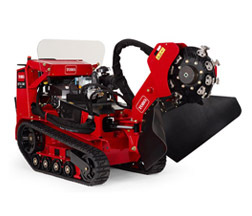 Toro®’s line of rammers have your compaction needs covered. 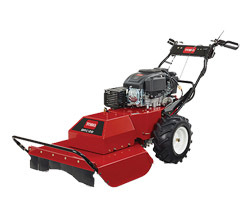 The 4-cycle engines offer easy operation and high productivity. 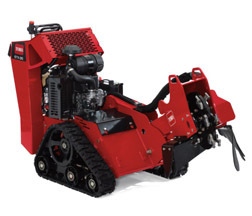 With three sizes to cover light, medium and heavy-duty applications, no matter what size job you need to tackle, there’s a lightweight, smooth running and easy to operate Toro rammer to match your needs.